PNC Park in Pittsburgh for game between Los Angeles Dodgers and Pittsburgh Pirates on 5/12/2011. The weather is cloudy and we hear thunder. 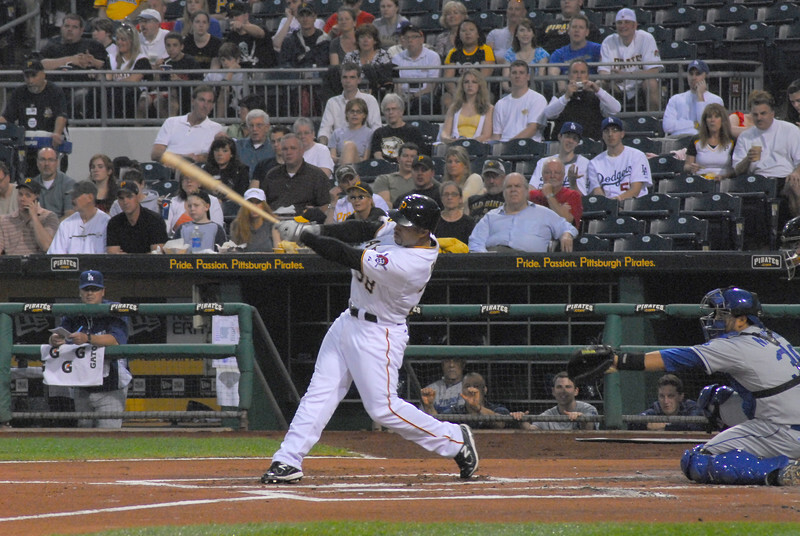 Xavier Paul of the Pittsburgh Pirates makes contact with the ball in a game against the Los Angeles Dodgers on 5/12/2011. 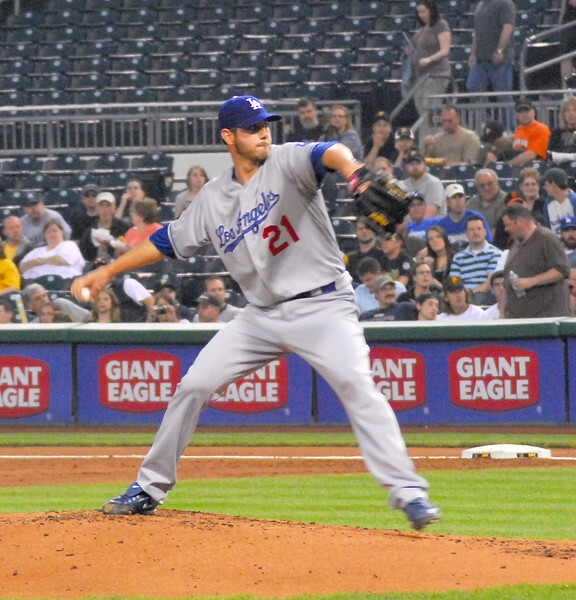 Jon Garland of the Los Angeles Dodgers winds up to deliver the pitch agains the Pittsburgh Pirates on 5/12/2011. The game was called because of rain after 2 innings. 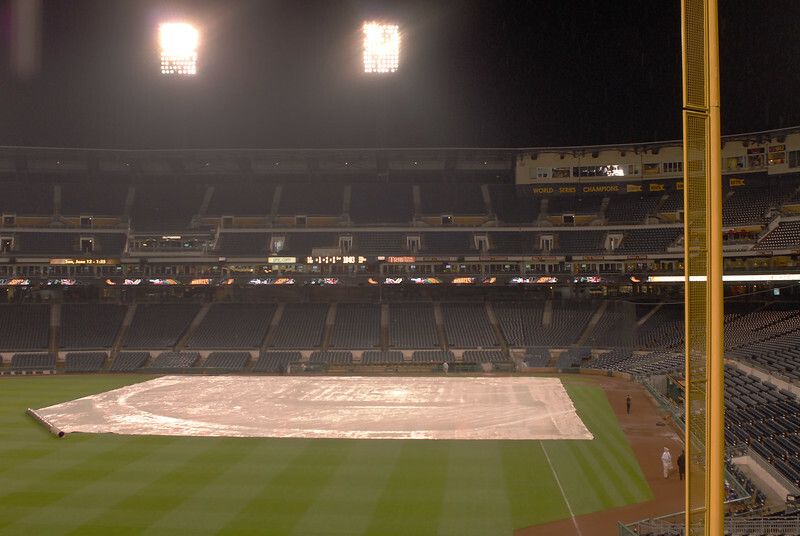 The Los Angeles Dodgers were scheduled to play the PIttsburgh Pirates on 5/12/2011. After two innings, the rains came. After a rain delay of two hours and twenty minutes, the game was called.